Home Blog Bank Holiday Bargains! With only about 5 months to go, why not start working on your collection of Halloween decorations this bank holiday? Our fantastic website is well stocked all year round, so why not check out some of our spooky products this weekend, and slowly build your collection rather than leaving it until last minute in the autumn months? Long weekends are made for relaxing, so why not put your feet up, grab a cuppa and browse our brilliant range of Halloween decorations at your leisure? In this blog we look at some of our popular items that will be spook-tacular additions to your Halloween décor, whether you’re decorating your home or other party venue. We have decorations to suit all tastes, budgets and themes, so why not check out our full range on our Halloween Horror Shop website? To add something scary to the outside of your home why not try our Halloween Inflatables? These bright, outdoor decorations will certainly welcome guests to your home and with their built in lights, will definitely catch the attention of passers-by this Halloween! Here we have two great examples, our Pumpkin with Spider Inflatable and our Vampire with Cloak Inflatable! Both are fully self-inflating and come complete with supporting guy ropes and pegs, to keep them in place through any miserable autumn weather! Brighten up your Halloween this year with a brand new set of lights or two! Perfect for illuminating focal points or just for adding eerie atmosphere, our range of indoor and outdoor Halloween Lighting will add something special to your seasonal decorations! Our Battery Operated Spooky Lanterns are available in a range of designs and are perfect for scattering around the house, and our Red LED Spotlight is perfect for placing outdoors for illuminating a focal point in the garden such as in Inflatable! We have some truly terrifying Halloween Props that are sure to make your home décor the main talking point this Halloween! With lights, animation and sound activation, our range of indoor props are bound to give your family, friends and guests a scare this Halloween! Why not try our Faceless Reaper Display or our Shaking Caged Figure? Both are sound activated for the perfect scare factor and include red LED eyes so look just as terrifying at night time as well as the day! Impress your party guests with spooky Halloween essentials, our Decorations are ideal for completing your spooky setting at home, such as our Creepy Spider Web Decoration. Perfect for placing over windows, walls, doorways and more! Or how about our Bloody Detailed Tablecloth, perfect for dressing your buffet table at your next spooky party. We may only just be approaching summer, but why not start thinking about your Halloween costume this bank holiday? On our Halloween Horror Shop website, we stock lots of great Costume Accessories and essentials that will come in handy for all kinds of fancy dress. So whatever you decide to go as this Halloween why not try items such as our Blood Spray, great for kids and adults alike, or our Adult Spider Web Tights. 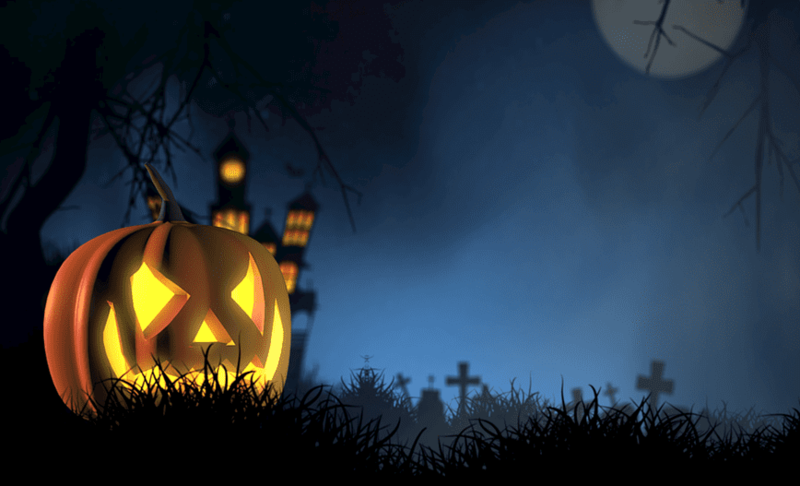 We hope this short blog may have got your creative Halloween juices flowing to start yourselves getting organised for your spooky parties and events this Halloween. We don’t think it’s ever too early to get sorted for our favourite time of year!